A little while back I was asked to speak to a group of design students at Humber College here in Toronto. Part of my presentation was about the importance of mentors. I told the students, don't worry if you don't know any personally yet -- they'll be revealed in time. Meanwhile, don't hesitate to stalk a mentor. Choose one of the best of the best. Study and learn. 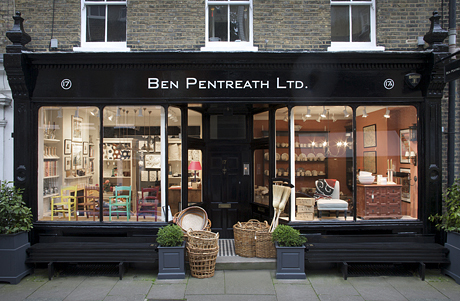 Lately I've been stalking Ben Pentreath. 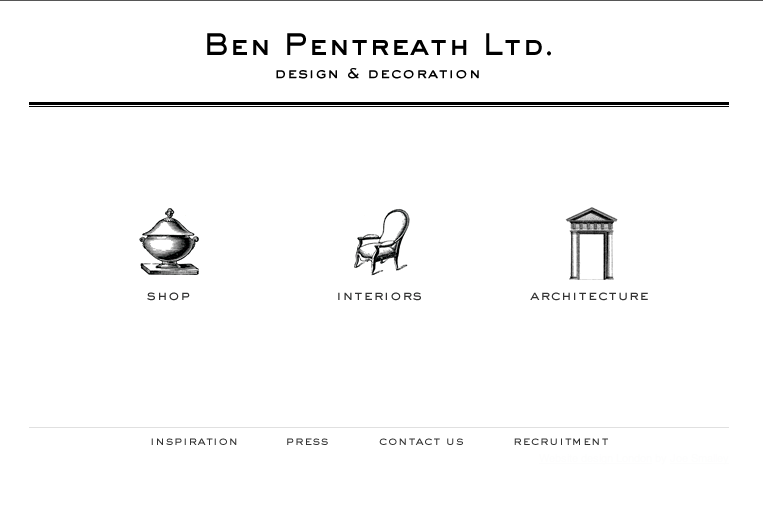 Ben is an architect and shop keeper based in London's Bloomsbury district. 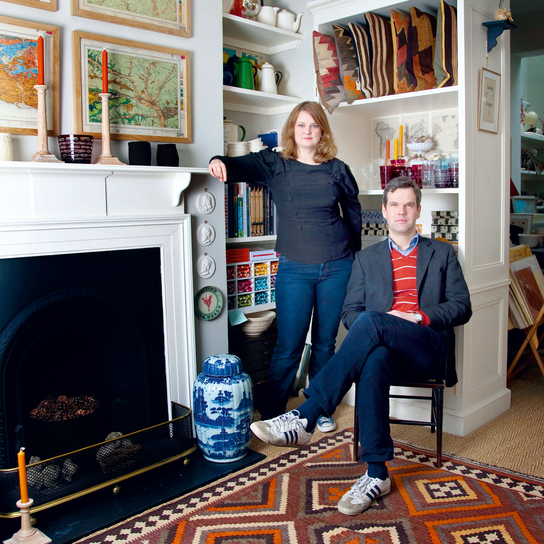 I first met him last spring on the pages of House & Garden magazine and in the book Perfect English. I love his design style -- handsome and classic but relaxed, even a tad disheveled. His outfit in the shot above (with shop manager Bridie Hall) says it all -- jacket, striped sweater, narrow jeans and Adidas - perfect. 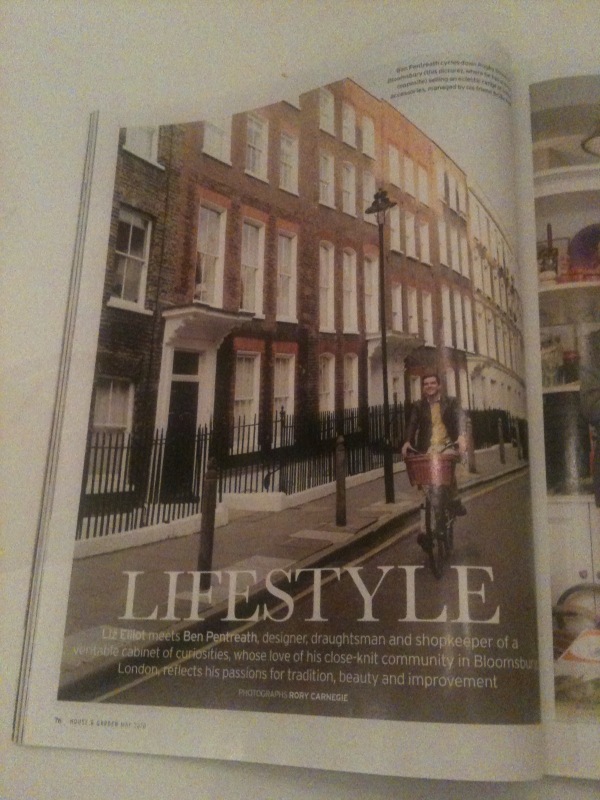 Ben riding his bike along Ruby St. in Bloomsbury from House & Garden mag. I'm a fan of a well-dressed man on an old school bicycle. And the architecture of the street scene - love. 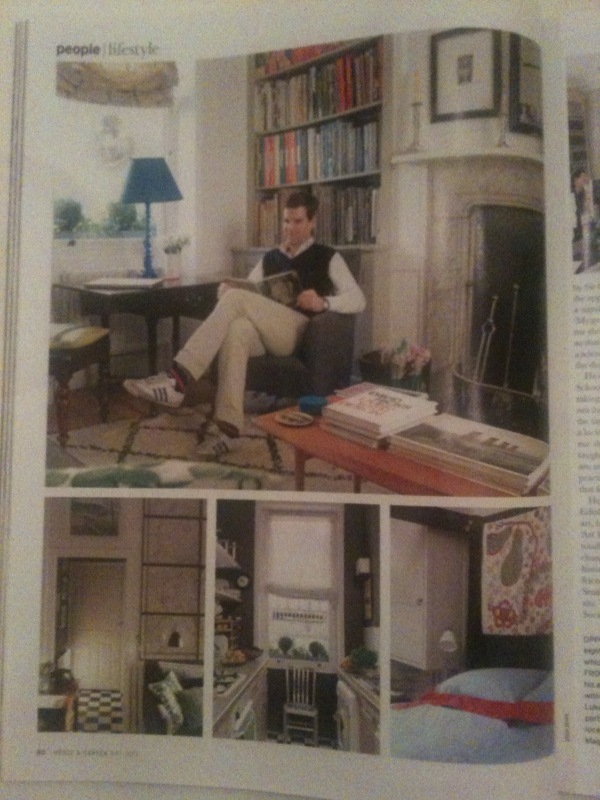 Another page of the House & Garden story. I spy some Josef Frank fabric above the bed. Ben's shop. You may know I have a weakness for a man with a lovely shop. 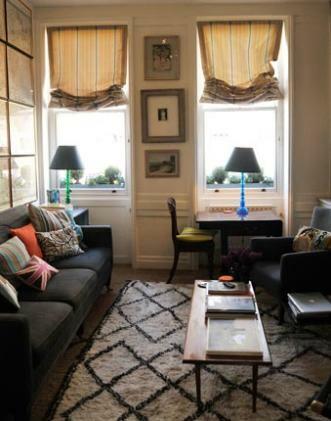 Ben's sitting room, from The Independent. 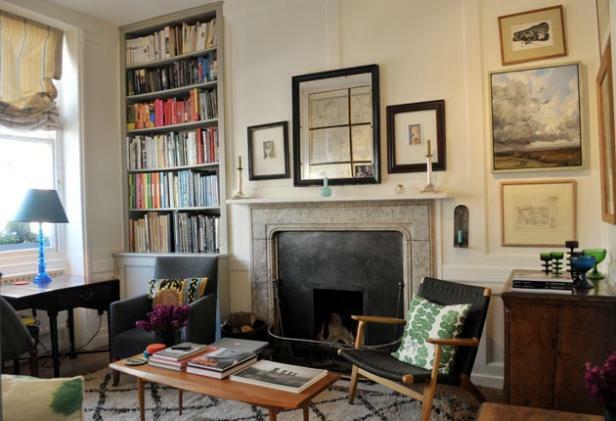 More of Ben's sitting room. I spy another Josef Frank fabric. A hotel design by Ben's architecture firm, Working Group. 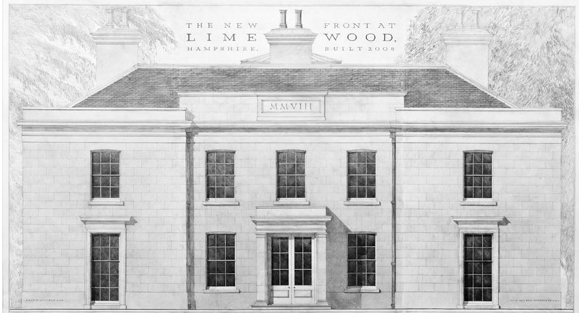 A column drawing by Ben that I would die to own, from an exhibition at the Royal Institute of British Architects. 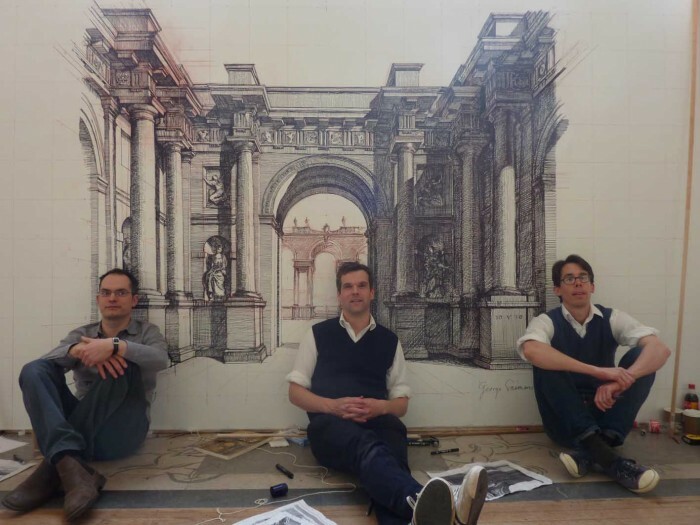 Ben (centre), along with George Saumarez Smith and Francis Terry, who form the collective The Three Classicists, drew this amazing work of art during the course of one day for an exhibit of their work. The time lapse film of the day made by Ben's cousin Ben Moore is amazing to watch. 1. He blogged about Prince Philip as a style icon. Wicked great post. 2. 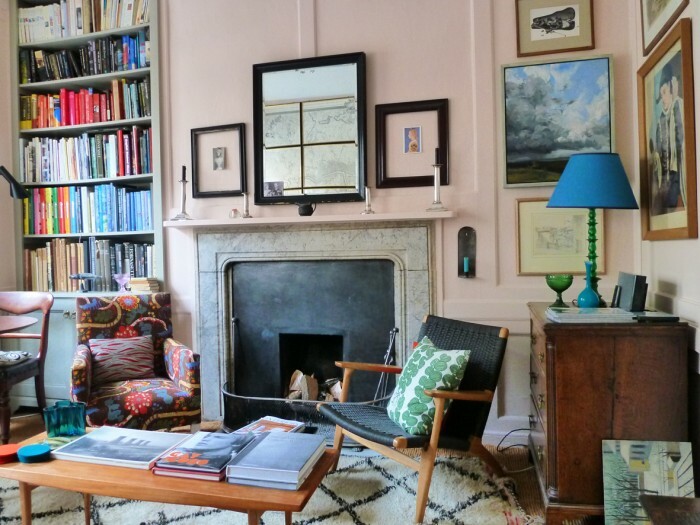 Just for kicks recently he painted his sitting room Farrow & Ball Pink Ground, a colour I have been obsessing over since I did my Valentine post (which incidentally included a lustreware piece from his site). 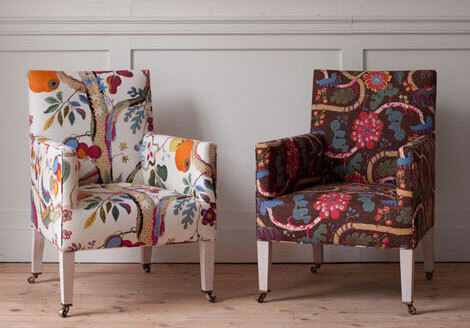 Are you like me and loving that armchair on the left with yet more Josef Frank fabric? It's the Bloomsbury Library Chair , available at the shop, natch. And lastly, I even love his web site design. Simple. Perfect. Love the icons. And delicious stuff for sale. 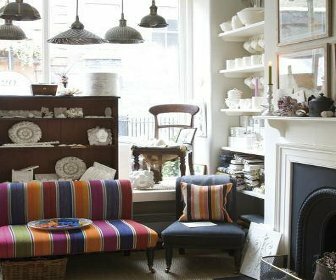 The shop is on my must-visit list for the next trip to London. But don't worry Ben, I'm not really stalking you, just fan-girling, as we in the blog world are wont to do.